Livestock protection officer for Dartmoor, Karla McKechnie, who sits on the Dartmoor Commoners Council, is working closely with police to tighten up the rules around livestock worrying, having already helped to implement a Voluntary Control Order (VCO). If a dog owner then breaches that order, they are prosecuted. “I think it surrounds the mentality of people,” said Ms McKechnie, who added there had been about 40 attacks in the local area this year already. Gatepost signs asking dog owners to keep their pets on a lead are likely to be changed from ‘Please put your dog on a lead’ to ‘Make sure your dog is on a lead’, she said, but the main problem was that people did not report it. “People are still of the ilk to have a quick look around and hustle their dog back into the car and drive away,” MS McKechnie said. “It has been predicted that one million people will be coming to Dartmoor in the next 20 years, and everybody these days seems to have a dog. PC Phil Nankivell, a police dog handler and dog legislation officer at Devon and Cornwall Police, said the situation had not improved and was ‘a very difficult one’ for police. Relying on the Dogs Act 1871 to run alongside the Dogs (Protection of Livestock) Act 1953 to allow enforcement of control measures on the dog – alongside prosecution – was not ideal, he said, and the act ‘could be improved’. “From a police point of view, we are reactive as opposed to proactive, which is a frustration,” he said. “The situation has not improved. “Where I become involved is I will look at what has happened and try and put proportionate measures on the dog owners, for example with VCOs it is a contingent destruction order. 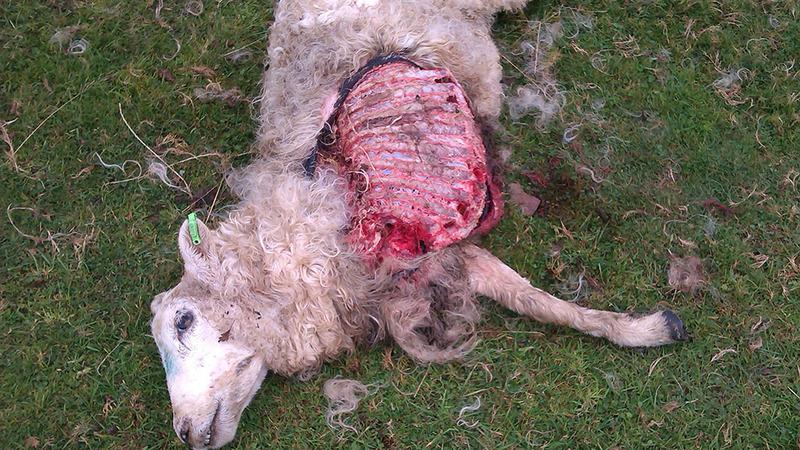 North Wales Police told Farmers Guardian that between January 1 and December 31 2018, at least 95 farm animals had been killed from 118 reported dog attacks. A further 96 had been injured. Livestock affected included sheep, alpacas, cattle and chickens. It came as NFU Mutual revealed the number of sheep farmers in Wales losing stock to dog attacks had risen 113 per cent.